Automac MOT & Service Centre is a family run business located in Motherwell, North Lanarkshire. Our professional mechanics have over 30 years experience in the industry, specialising in vehicle MOT’s, servicing and repairs. 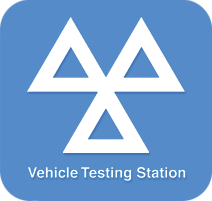 Contact us to arrange an MOT or services for your car or van. Automac MOT & Service Centre Ltd are leading MOT specialists in Lanarkshire and have two fully staffed MOT bays for class 4 services. We can carry out MOTs on most sizes of vehicles from cars to camper vans.